Become a self-made digital marketing expert is in trend. Nowadays organizations often spend massive amounts on digital marketers to improve their company’s sales. Presently, the digital marketers have the top jobs in entrepreneurial markets. As a result, many people have a desire to get a digital marketer job or project. Also, read how to become a Google AdWords certified professional. Digital marketing term is present from the 1990s itself, But as the world is evolving rapidly there has been a lot of growth in the digital marketing field, and as of now it’s playing a significant role in the present generation. Digital marketing is one of the marketing processes where you promote the products or brands on the digital platforms. Digital marketers are the ones who are responsible for making a marketing plan for the product or brand. They play a huge role in executing all types of web-based marketing and also building awareness to the product and company along with the interactive conversations. These services will be benefited for the enterprise. Also, read how to create a digital marketing strategy. They try to make new and improved campaigns regularly and execute them well to increase the sales of the products. Well, you have known what digital marketing is and what is the digital marketer? How to measure the effectiveness of Paid Ads? The world of digital marketing will change really fast. One day the technique works and the other day it won’t work. So to be a digital marketer mainly, you should be a good learner. Digital marketer must have a skill like SEO, PPC and more. Mainly coming to search engine optimization it’s an ever-changing process where we can’t relax. Each and every day there will be a new learning curve. 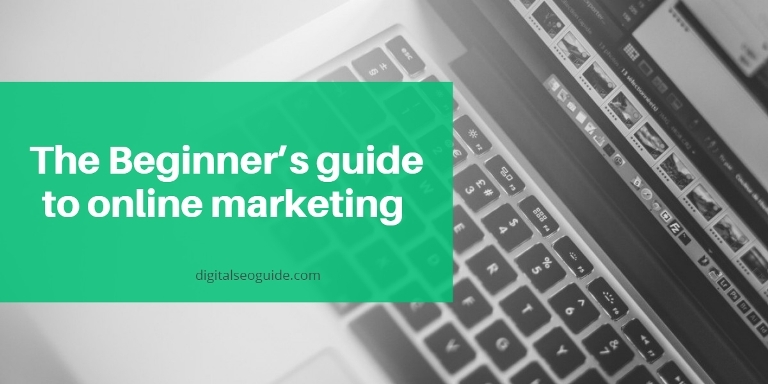 To be a digital marketer, you should know some of the most crucial and essential components of digital marketing that I have mentioned as the digital marketing skills you need. 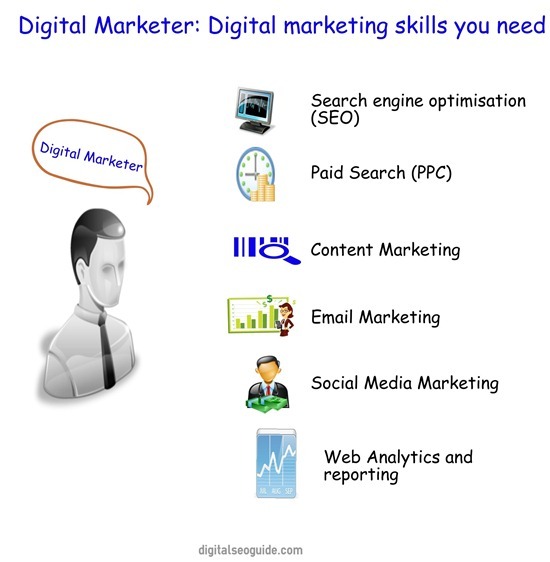 You must be proficient with the following 6 skills to become a successful digital marketer. Search engine optimization is the major part of the digital marketer. Digital marketer should learn SEO from primary to advance to be a professional digital marketer. Most of the companies offer a job only if he/she is capable of strong SEO skills like having knowledge of SEO tools, Google Analytics, Keyword analysis. Also, read what is SEO and how SEO work. Paid search is another important strategy for any digital marketer. To focus on paid search, organizations and businessman spend thousands of dollars. They mainly think this is a better option in digital marketing. So, to be a digital marketer if you learn Google AdWords, keyword works and how to optimize it for your search and all would be helpful. Digital marketer must have a proper grip on content marketing, and he should be able to optimize the content on the website or advertisements or the others channels. A digital marketer should be optimizing accordingly to deliver the best results for the company. Digital marketer always uses email as their powerful weapon. So email marketing is critical for any digital marketer. As they always focus on promoting a product they target the consumers through an optimized and impressive email. The organization’s always thought email marketing as a digital forum for old traditional marketing. So, they focus on email marketing after SEO and PPC. So digital marketer should be good at it. Social media marketing is a very common task for marketers where they produce a content about their product or related to their products. You should be creating content that users will share with their social networks, and that tends to increase the sales of the products. A digital marketer should always see the analytics and reports for all his strategies. He should maintain a note of all the strategies. By analyzing the reports and other activities he can know what he must do. If there are any pitfalls in it, he can easily resolve this problem. A digital marketer should be aware of Google analytics to find the traffic, from where he gets. He can try to implement plans to increase their product reach. Don’t miss why to use Google Analytics. So, the digital marketer should know web analytics and report. Along with these, the digital marketer should also have a skill of mobile marketing and Google integrations to be a successful digital marketer. These are the skills you need to learn to be a digital marketer. Along with this skills, some other qualifications and certifications make perfect for applying jobs such as digital marketing managers for a company or band. There is another option for you to get projects from companies that are by starting an SEO business. You can do this to gain experience. On the other hand, it helps few who are college discontinue or have no certification. If they have all the skill, they can even keep the small business. Choose a particular domain name for your business. Purchase it using GoDaddy, or other domain services. Take the best web hosting for your business. Design your theme or buy a readymade theme. Now create a service page on your blog. Mention your services on the service page. Keep a blog and write articles. Execute your SEO skill on the blog and make it rank well in search engines. Install Google analytics tracking code to your website and take the analysis of your website reports. Write well-optimized content and maintain the blog in a neat way. Open AdWords account, or some other keyword planner and search for the keywords. Open accounts on Facebook, Twitter, and all the social media account to improve your social circle. Now make use of advertisements on AdWords or Facebook or another service, to promote your blog. Maintain the blog as a professional. Make your website rank well. And then build a trusted audience. Make clients and do their works. Make your business visible to all your members. Don’t Miss Free online jobs from home. So to be self-made digital marketing expert all you needed is skills and execute them to become digital marketers. If you want to be a full-time digital marketing expert, then you can apply for digital marketing expert jobs with the above skills. And if you don’t want a full-time job as a digital marketing expert then you can start your own digital marketing business as I said above. If you still want to use your digital marketing expertise in other ways, consult and speak to any universities and all to give speeches? And grow your connection to get freelance projects. There are lots of online marketing places where you can get the freelance project. To register in one of them. So what are you waiting for??? Start digital marketing career and taste the success by doing your dream job?